If you're one of those people that likes games that are silly, comedic, and just down right fun Little Big Planet is the game for you. It's great fun for the whole family to play and enjoy. This game is also awsome because you can let up to 4 people play on a level at the same time (allowing your whole family to play, unfortunately for me). 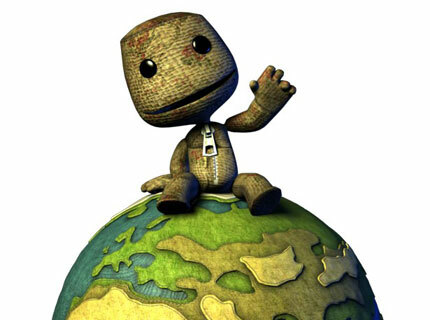 In Little Big Planet you are a customizable character made out sack. I dont know who thought this up, but man that guy/girl (don't want to be sexist) is good. Anyways the game or while you are playing it you are able to customize your character into Dracula, a Werewolf, Snake (from metal gear solid), or anything else you can think up in that itty bitty head of yours. In conclusion I have to say that this game is an awsome, hilarious, and great game for the family. If you have it you are very fortunate. Yet, if you don't have it get off the couch you are on, go to EB Games, and buy it RIGHT NOW!!!!! Rating: 7.9/10 This game was okay to me.